Cosmopolitan walking cane handle is made from genuine Gaboon Ebony wood at one inch thick makes that handle very comfortable and the teak oil finish make it look stunning. 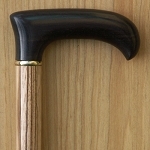 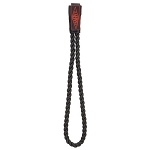 The handle is mounted to the satin lacquered Zebra Wood cane shaft with a brass deco ring. 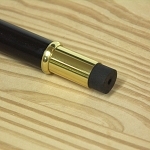 This walking cane includes a high quality Never Slip rubber tip and will support a person up to 250 LBS when used properly. 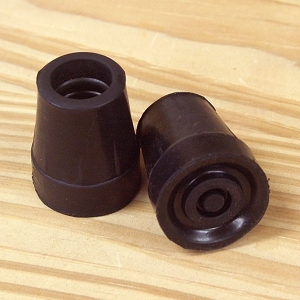 We build each walking cane when it is ordered and because of this we can customize this walking cane with different collars or rings we can also add screw joints. 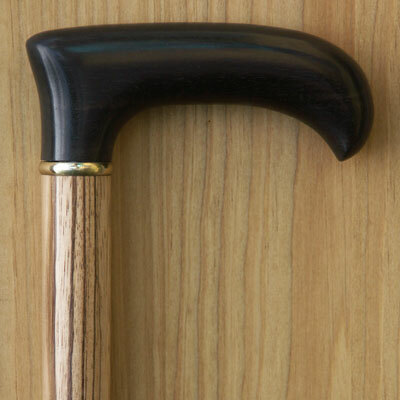 To customize your cane give us a call 1-888-399-4870 Ext 1. 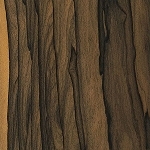 Finish: Handle has a hand rubbed teak oil finish. With satin lacquered Walnut wood shaft.